Touringkitty and Manila Workshops are partners in learning! I have attended several of their workshops in the past couple of years, and I don’t only learn in the workshops, they’re also a great way to build my network and look for possible job leads. This semi work at home momma has partnered with them, so you’ll be reading some of their upcoming workshops over the blog and on Facebook. To start, here’s one workshop I think you should attend, too. Four years ago, I wrote about investing in the stock market. It was a writing collaboration between my husband and I. We still maintain some stocks, though we’re not that keen on monitoring it lately. This upcoming series of workshops will be a good refresher. 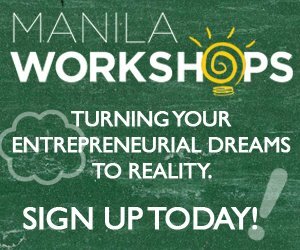 Manila Workshops present Stock Smarts Workshop Series, a four-part workshop which encompasses the ins and outs of investing in the stock market. You may choose to attend one, or attend all! Don’t forget to enter TKEASMWS1 in the Referral Code Box as you register so that we know you got info from Touringkitty. Watch out for more information about upcoming workshops!